There was Sabrina looking as fascinating as ever in a cotton dress, and there, crowding around her, was the inevitable host of admirers. 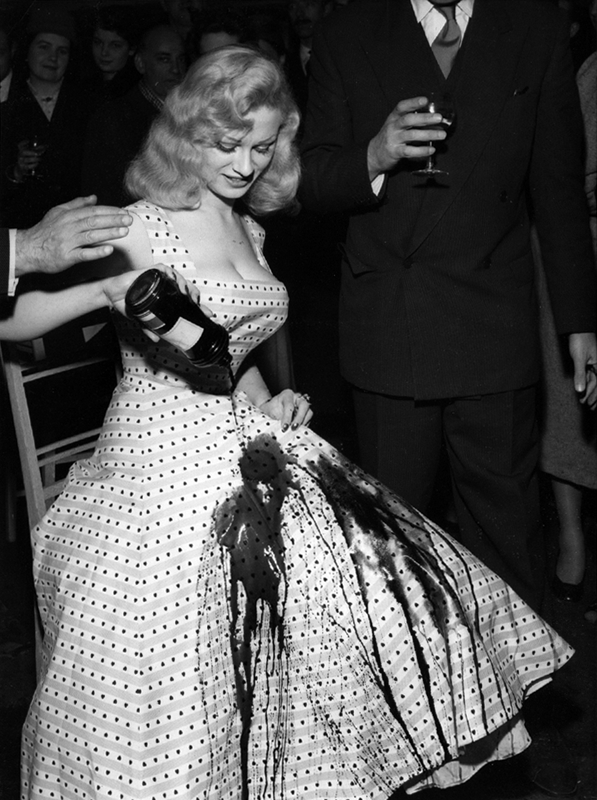 Then, as though she hadn’t enough personal attributes to hold attention, Sabrina poured a bottle of ink over her spotlessly clean dress! Not to worry though, for 41-19-36 Sabrina was demonstrating a protective fabric finish called “Howcol Spin’n Spandy’ which makes fabrics stain and water repellent.